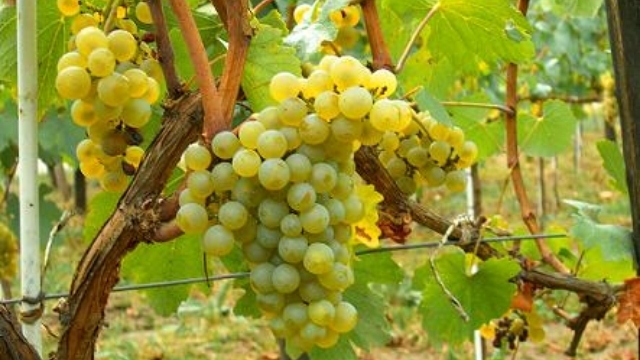 Grüner Veltliner is a white-wine grape probably originating in Austria, which remains its primary home, though it is also much grown today in both halves of the former Czechoslovakia: Slovakia and the Czech Republic. Though an ancient grape, it has only achieved note in modern times, having previously been thought of as a minor and undistinguished grape. Some Grüner Veltliner is still grown and vinified as jug wine. Even better-quality GV tends to be somewhat shy in its youth, and well-made GV improves with bottle age. Descriptions of GV wines are therefore more or less all over the map. The few common descriptive threads are light citrus-y fruit and a white-pepper overtone; beyond those, one variously hears of celery, lentils, and spice. 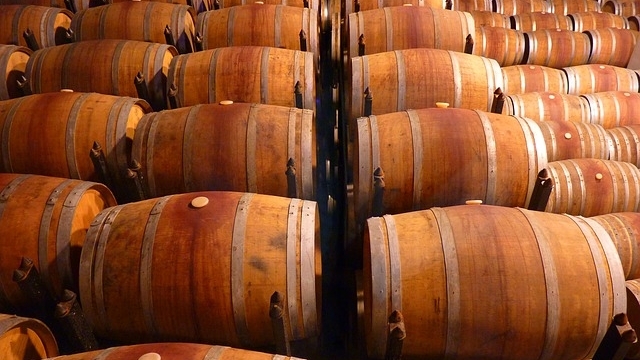 Better samples, when aged, take on body and weight, and are often compared with white Burgundies (mostly meaning Chardonnay). Like Chardonnay, GV can be made unoaked (as with Chablis), in which case it tends also to show minerality, or quite oaky, in which case it tends to the "fat" quality Chardonnays so treated tend to exhibit. In a sense, then, Grüner Veltliner can be considered more than one wine type (again, as with Chardonnay). 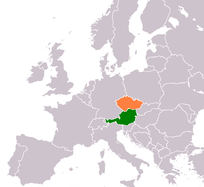 The Wachau region: Earlier harvests of Wachau Grüner Veltliner go into bottlings which are labeled Steinfeder or Federspiel and are light- to medium-bodied and meant for extremely casual drinking (they are traditionally used for wine spritzers), while the later harvest goes into the fuller-bodied, more complex Smaragd wines. The Kremstal region: The wines here are perhaps more easily approachable than those of their western neighbor, with a softer fruit profile. The Kamptal region: The white wines from here have a particularly spicy aroma. You’ll also notice that the very shape of the bottle is different from those which hail from the Wachau: again, this is done by the winemakers to further establish their regional differences. The Donauland region (since 2007 called Wagram): Its strength is its unique slopes of loess "steps" or "terraces" that extend to the Danube plain in the south and offer a good terroir for GV. Factoid: the now-common name Grüner Veltliner was only established as the norm in the 1930s. 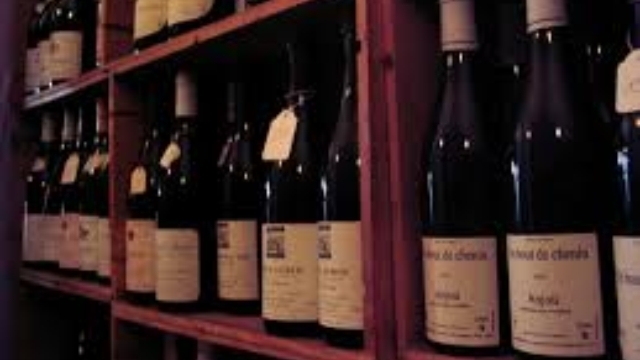 Indeed, its explosive popularity (already seen by some as now fading) dates only to a famous tasting session in 2002, wherein some specimens outranked some top white Burgundies. Whether the grape is has enduringly good qualities or is (or was) a fad remains to be seen. "According to wine expert Oz Clarke, Grüner Veltliner is usually not very aromatic in its youth, developing more tertiary aromas with age. Instead the grape often shows white pepper, lentil and celery note with some examples showing citrus notes and more full bodied examples having what Clarke describes as a "honeyed weight" to them. According to wine expert Tom Stevenson, Grüner Veltliner is often lightly fruity with noticeable spice and characteristic white pepper note. Well-made examples from favorable vintages can have a similarity to Chardonnay produced in Burgundy. And, like Chardonnay, the variety can be made in an overly oaky and "fat" style. Unoaked examples can exhibit a minerality similar to Riesling. Master of Wine Jancis Robinson notes that Grüner Veltliner is usually produced dry with spicy, peppery notes. It is often full-bodied and with age can take on aromas and flavors similar to white Burgundies." "So how does a glass of Grüner Veltliner taste? It tends to be a crisp, light-to-medium bodied dry wine with an edge of spice. It can have mineral, herbal, floral, and even fresh pea or lentil notes, and it’s known for having a slight white pepper taste on the finish. 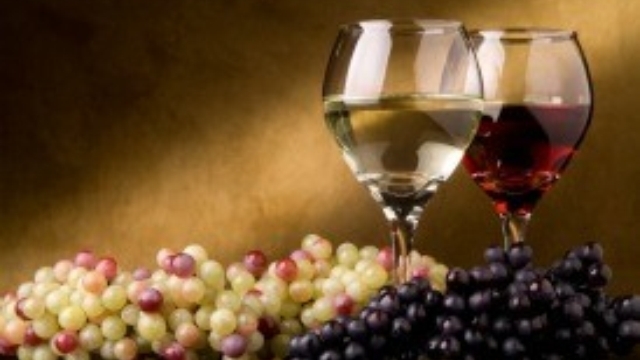 The grapes can also be harvested late and used to make dessert wine or even Icewine." "The primary fruit flavors in Grüner Veltliner are lime, lemon and grapefruit. There is also a green and herbaceous flavor that is often described as white pepper. However, what makes Grüner Veltliner wine so unique is its signature vein of acidity that explodes in your mouth like pop rocks. More affordable Grüner Veltliner (around the $10-20 mark) loses this acid burst quickly after every sip, but high quality Grüner wine will have a delicate tingly aftertaste." "Although Grüner’s signature is a spicy, peppery nose, the wines can be light and simple (a bright and refreshing aperitif) or rich and profound, depending on where and how they’re grown. In fact, a well-aged Grüner Veltliner can bear a close resemblance to white Burgundy in richness and texture; a top Grüner Veltliner can easily mature for a decade or more. Sometimes much more." "The terraced vineyards are found farther west, in the regions of Kremstal, Kamptau, and Wachau. Here, what soil does remain is heavily granite in composition, imbuing the wines with hefty stony character. Wines from Wachau are especially prized for their depth and power. In the Kremstal and Kamptau, soils retain their minerality but are still lighter than those in Wachau. Consequently, wines are somewhat more elegant: still steely but not as intense. Thanks to their acidity, wines from all three regions will age well, shedding some of their initial vegetal characteristics while gaining increased spiciness and complexity." "Grüner Veltliner delivers all quality levels - from light, acidity-toned wines to the highly ripe Prädikat wines. The site and the yield are crucial to the quality. Spicy, peppery versions are preferred; so are versions yielding stone fruit notes. Less desired are wines with Sämlingston - an intense aroma similar to that of the Scheurebe (Sämling 88) variety." "There are two key styles of Gruner Veltliner wines: the first lighter, fresher and citrus-focused, the second spicier, weightier and more complex. The first category capitalizes on Gruner's strong citrus characteristics: lemon peel and grapefruit, usually complemented by some vegetal notes and the variety's trademark hint of peppery spice. These lighter wines are sometimes bottled with a gentle spritz to emphasize their light, fresh style. The second style produces weightier wines which showcase the variety's distinctive white-pepper character. The wines are dry but richly textured, complex and spicy, so much so in fact that many are unapproachable until several years after vintage. With time they soften and display more honeyed, almost marmalade-like characteristics which match their attractive, deep golden hue. These wines are typically made from older, lower-yielding vines, and are correspondingly higher-priced." "This grape enjoys higher acidity levels and is known to put forth an inviting range of aromas from fresh, green apple to juicy tropical fruit and from white pepper to mineral-laden nuances on the nose. Grüner-Veltliner is typically a medium-bodied wine that can cover the spectrum of dry to off-dry in style. Grüner-Veltliner can also cover the gamut from being made in an easy going, quaffing style of wine or turned up to a wine of serious complexity with an encompassing elegance and built for long term aging." "Even the simple wines, from overcropped vines and underripe fruit, can have very pleasant citrus and grapefruit aromas, with a hint of the variety's most distinguishing characteristic: the spicy fragrance of freshly ground white pepper. Today's better wines, however, from top sites and lower yields, can be astonishingly complex, full of exotic tropical fruits, white pepper and lentils. They can also show aromas of green beans or asparagus, an engaging "vegetable" smell that is seldom "vegetal", especially when grown in mineral soil. There is a vast amount of ordinary Grüner Veltliner grown in the Weinviertel, a district within Niederösterreich and Austria's single largest winegrowing area. Although there is some potential here, the wines are mostly of the simple sort and primarily consumed locally at the many wine pubs. Currently the best wines from this variety are being made in the three smaller, adjoining districts along the Danube: the Wachau, Kremstal and Kamptal." "Grüner has a variety of expressions. Cropped at high yields it can make a pleasant but light quaffing white, but if growers take a little more care it is capable of making complex, full flavoured, spicy whites often with a distinctive white flower and cracked pepper edge to them." There is a huge assortment of the once-faddy Grüner Veltliner to be found, but it remains so that most of the better ones are outside our self-imposed $20 price range, and of those that aren't, a lot are frivolous "easy drinking" bottlings. Nevertheless, with some diligence one can find praised specimens at plausible prices; here are some. ♦ A blend of fruit off younger vines in Lamm, Grub and Renner, this is not Moosbrugger’s most complex wine by far, but it’s thrilling in its vivacity. It smells like textbook grüner, earthy and lentil-like; it tastes of citrus, pears and Mirabelle plums, with a bright, thirst-quenching immediacy. Round yet sleek, vibrant and floral, it lasts with energy. A wine to buy by the case. ♦ The 2006 Grüner Veltliner Gobelsburger is a blend from the single vineyard sites as well as a splash of fruit from outside of the property. This is the "entry level" wine of Castle Gobelsburg, though I think there are few better examples of dry and crisp GrüVe anywhere. A slight floral note on the nose is augmented by a big Granny Smith apple tartness in the mid-palate, which is then followed by a wave of cream and then finally a long, minerally finish. Medium-bodied, it is a wine of immense enjoyment and I can think of nothing better for a warm spring evening. ♦ Michi Moosbrugger's focus on precision at this historic estate has turned the basic Gobelsburger bottle into something very serious. It's impressive how much wine is here for the price, especially for a lean vintage. Ripe and cassia-tinged, with a richness to its apple fruit; its green side expresses more as dried poblano chile. Gruner that can sing across several octaves. ♦ I thought the wine was well-balanced, laced with bright clear notes and the tartness of Granny Smith apples. We even detected some underlying butterscotch, giving this wine a fullness we hadn't expected. As for that oiliness I don't like? Maybe my palate has improved with age. I detected it, but only on the finish, and it was appropriate, without being overdone. We drank this on a hot summer evening, but it would have been equally as pleasant on a Sunday morning with brunch. It's that kind of wine. [Distributor] Michael Skurnik comments that winemaker Moosbrugger's "special genius seems to lie in the making of very pretty fine-grained wines at the “low” end of his range—no small gift." I would agree. ♦ The Gobelsburger version [of GV], while certainly zippy, has a bit more oomph than we’re used to seeing in these wines. But we like that about it. And we like any excuse to drink a good Grüner Veltliner, so we’re happy to introduce Gobelsburger into the fold. Nose: Sweet scents of flowers dominate, as well as some stone fruit and wet rock. Mouth: Here’s where the wine takes off and takes shape. It’s got the requisite acid, but then a sort of nice sweet-savory balance. It’s a meaty Austrian wine. ♦ Widely available, this wine sings classic Grüner to me. Mineral driven nose with peppery notes. Deliciously crisp and juicy with lots of stone fruit and citrus flavor. Peppery spice delightful on the minerally finish. ♦ Light yellow color; tart grapefruit, mineral nose; tart grapefruit, mineral palate; medium-plus finish. 88 points. ♦ Fresh on nose with caramelised orange peel, pine needles and spice. Frisky on the palate with each element of spice, zest and herbs tumbling over the tongue in an extremely pleasing way. Great mouth-feel with appealing balance between zesty freshness and unctuous generosity. ♦ [The winemaker] composed [this wine] from the best young wines of this type of grape, uniting grapes from various vineyards in order to emphasize the typical character of a light-footed Kamptal Veltliner, easy on the palate. ♦ This is delightfully aromatic with a touch of white floral notes and mandarin peel and bright, fine acidity. It's textural, too, with a fresh, clean finish. ♦ [GV is] as refreshing as the surf, a frolicking white wine with notes of peaches, lime peel, lemon zest and snappy white pepper. Last night I tasted one — the Nigl, Kremser Freiheit, Austria — and I felt like I had the ocean in my glass. ♦ Light and very fresh, crystal-clear wine, with light, bright acidity and very soft creamy pear flavors. A perfect apéritif style. 85 points. ♦ [The wine] shows pear, lime peel and floral notes with a clean mineral finish. ♦ Nigl's latest [the 2008] is intensely fresh and bright, with a curious grapefruit presence amid the grass aromas. Almost channeling Sauvignon Blanc in its way. Right now it's more about austerity, but should be increasingly rewarding over the next five years. Peach curd flavors, with big mineral presence, melon and lime pith. ♦ Easily the most complex of the [tasted] quartet, showing what a bit of bottle age [2006 drunk in 2009] can do for the right Gruner. The deep floral aromas are filled with ripe melon, plum, clover blossoms, herb and orange zest. A rich and creamy mouthful of ripe fruit (peach and lime) shows remarkable persistence and is nicely balanced by good acidity throughout. This is a great value for a wine of this quality. ♦ Lean and vibrant, the aromatic edge of the wine is savory with chervil, fennel and white pepper. Very angular on the palate, with a gentle core of minerals and elusive tropical notes -- peach, passion fruit -- in the finish. ♦ The Loimer, easy to spot with its distinctive green label, had a complex nose with youthful hints of nutmeg, spice and black pepper and overtones of lanolin—definitely a food wine. Crisp acidity lifts a full, savory palate with ginger and scallion notes. ♦ Hailing from a combination of different parcels on his biodynamic Kamptal estate, across a wide variety of soil types (loess, primary rock, gravel, sand, and clay), Fred Loimer creates an enticingly complex wine for the money. There is a wonderful enlivening bright clean-fruit freshness on the nose, coupled with support from super-ripe stone fruits, spice, a broad granular aromatic smear of minerality, and just a tiny seductive hint of the exotic. The palate is more dense than expected, rather weighty actually, with some surprising extract. The finish is really quite exquisite, and ties up this parcel of classic Kamptal perfectly. ♦ This almost clear wine has a little yellow hue to it. It opens with a fresh light lime bouquet. On the palate, this wine has a round mouthfeel, is a touch acidic, and has very pleasant green apple flavors with a hint of minerality and sweetness. The finish was dry and it stayed with you for a while. . . If you have not tried Grüner Veltliner, I would suggest this is a nice introduction to the grape. ♦ Pale, straw yellow. Nose is a bit tight at first then apple and powdered sugar aromas come through. Flavors of apple, pear, and lemon peel. Dry and medium-bodied with crisp acidity and a long finish. Quality: 3.5 stars (out of five); QPR: 2 bangs for your buck (out of 5). ♦ Textured and rounded, this attractively packaged gruvee has sweet pear and apple flavours, plus a hint of fresh greenery that matches the label very well. It’s a lovely wine from one of Austria’s best winemakers, Fred Loimer. ♦ Fred Loimer's popular and reliable effort is juicy and citrus-fruited in '09, with subtle flinty aromas. Straightforward in its fruit, with a bit of bite to the finish. ♦ Bright white gold in color. "Riesling with a lime twist and dash of pepper" - Golden Delish apple, white pear, Honeydew; along with hints of citrus and white pepper. Medium bodied with straightforward fruit flavor. Well-balanced, not over-bearing, and a stony/mineral finish. ***½ (3.5 stars). A fine spring/summer food wine that even holds its own against Arrabiatta sauce! ♦ Nice golden straw color. Honeydew melon and freshly ground pepper on the nose. The palate consisted of white pepper on the front end and was followed by expansive flavors of peaches and melons and finished cleanly with some lemon-lime flavors. This seemed to be a tad sweeter than other Grüners I’ve had in the past but the acidity brought everything into balance. ♦ A great bottle of white from Austria. Crisp and cool, with classic Grüner notes of green apple, lime and white pepper, the 2011 "Kamptaler Terrassen" from Bründlmayer reboots the palate in much the way that Champagne sets you up for the meal to come. ♦ Terrassen means a blend of wine from different vineyards. This crisp example is lively with acidity and green fruit flavors. It is very pure, bright and ready to drink. 88 points. ♣ Wine Advocate (October 2011), 87 points. ♣ Wine Spectator (February 2013), 90 points. ♦ While the lightest Gruner Veltliner bottlings of this vintage at Brundlmayer were spare and overlain with green apple flavors, the 12% alcohol 2010 Gruner Veltliner Kamptaler Terrassen revealed a classic varietal nose of fresh green bean and lime, mingled with gooseberry more reminiscent of Sauvignon, all informing a juicy, brisk, firm palate and finishing with ample refreshment and invigoration as well as a bitter note of fruit pip. ♦ Interesting aromas and flavors of glazed citrus and kiwifruit are matched with bracing acidity and a lush creaminess. This is pure, featuring a finish of ruby grapefruit and apple tart. ♦ Really racy and tangy. Exciting nose already! [2012 in 2013] Should settle down very nicely but very racy already. ♦ The nose features limes circled by flowers, very perfumed. In the mouth it is the concentrated essence of limes tempered by a touch of RS – delicious. ♦ Crisp and rich, offering juicy flavors of ripe ruby grapefruit, peach and baked apple, with hints of apricot. Salt and pepper notes mark the finish. ♦ This is happy wine, clean, light and bright in weight, soft and giving in lemon-cream fruit. A by-the-case buy for summer drinking. ♦ Sweet pure fruit, starring grapefruit flavors, is rounded with a more creamy character, and additional flavors of pear and fresh sliced melon, finished with pepper. ♦ Johannes Hirsch's basic grüner is lean and nervy in 2012, with an almost riesling-like angularity, and oiliness to its minerality; The veltliner comes out in flavor: pink peppercorn and wild, earthy fruit, somewhere between blood orange and fresh mushroom. 91 points. ♦ The Grade: Amazing. The Mojo: The second straight Austrian white I have tasted this week is the Hirsch Gruner Veltliner "Veltliner #1" 2007, this entry level "GruVe" is playfully aromatic, with vibrant Meyer lemon, red tea, white flower, and spice notes, leading you into flavors of ginger, lemongrass, flint, fresh herbs and fresh cut flowers. It's ripe and lush on the palate, with an incredibly long finish that is so surprisingly light throughout - you will be won over by this grape and this particular producer's presentation of it. This wine is well-balanced, possessing good integration of fruit and acid, with just a touch of residual sugar to give you added intricacy. ♣ Wine Advocate (date unknown), 87 points. ♦ Hirsch's 2007 Gruner Veltliner #1 incorporates some juice from a nearby corner of the Weinviertel, because of a kindred biodynamic soul from whom Hirsch has begun sourcing. More volume of this wine would be good news, as long as it maintains the quality of the previous five editions, and of this one. Classic lentil, lemon and lime are accompanied by a suggestion of tart red currant, making for a sappy and refreshing white (as I have written before) perfect for every day and for the refrigerator. ♦ This wine's clear golden color is transparent and very pale, typical of GV, and its white-fruit and green-pea aromas are similarly characteristic of the grape. Crisp and citric, dry and tart, it's a bit on the simple side, but mouth-watering and food-friendly, with an attractive touch of "rainwater" minerality developing as the wine warms in the glass. ♦ One excellent and affordable example is Hirsch “Veltliner #1″, which exemplifies the typically clean, character of Gruner Veltliner, adding an attractive tartness, almost-sweet fruit, and a touch of mineral. A nice extra is that this wine comes with a screw-top, so you can stick it back in the fridge and enjoy it over several days. In fact, I’ve been drinking this particular bottle for over a week, and it has not lost any freshness. ♦ Tarter than other gruners, like an albarino, this wine smacks of herbs, lemon-lime and wet rocks after a rain. Finishes clean. 4.5 stars out of 5. Sweetness=1 out of 10 (dry to sweet). ♦ Even inexpensive wines like the Veltliner #1 from Hirsch are quite pleasant—juicy and refreshing. The #1 has sold very well here in the States, Hirsch confided, especially after they put a cartoon of a stag on the label. (Hirsch is the German word for deer.) “When we changed the label, we sold five times as much wine,” he said. No surprise, perhaps, to the label designers, or to the drinkers of Australia’s Yellow Tail, the most famous cartoon-label wine of all. ♦ Juicy and bright, Johannes Hirsch’s 2008 Grüner Veltliner #1 shows plenty of pepper and herb and is clean and refreshing. This is another terrific value from the Kamptal region. ♦ The Hirsch Veltliner seemed to be a pretty good example of a Gruner Veltliner. It was light and tart with flavors of lime and green apple. Very zippy and easy to drink. I’m not going to lie and say that the wine went perfectly with asparagus and duck eggs, but it was okay. The acidity and slightly tingly texture of the wine was able to cut through the richness of the yolks nicely, but the wine’s flavor was dulled a bit by the asparagus and eggs. It went very well with the herbed new potatoes and crab crostini that I served alongside the asparagus, however, so it ended up being a good winesday after all. Plus, since this wine is so drinkable, I can screw the cap back on and enjoy the rest of it anytime I want this weekend! ♦ Nicely balanced, with a touch of lively acidity at midpalate. A clean, fresh nose with aromas of orchard fruit and talc. A very linear wine with a great midpalate sensation. ♦ So from there we took a swirl, a sniff and a sip and we came to just that conclusion: it's an every day Gruner. Bright nose of white pepper, apple and green peas, balanced acidity and a decent finish on the palate with the same characteristic Grüner qualities. To us, it was a good value wine, definitely what we paid (or would have paid for) and good company to light food or just good conversation. Owing to the pricing of Grüner Veltliners, the choices are many. But between this and that and these and those, the one that seems a sound choice is the Schloss Gobelsburg "Tradition" Reserve Grüner Veltliner, Kamptal.